Television: Be a guest on our monthly cable access TV show, Chamber Showcase, that airs monthly. Networking: Join us for any of our “Business After Hours” Networking events held bi-monthly at various businesses around the city. You’ll meet a variety of new connections at each event and enjoy some delicious food & drink! Social Media: Market your business on our Facebook, Instagram and Twitter profiles. Bi-Monthly Email Blast: Our MCC Membership News is sent to over 900 subscribers twice a month and cross promoted on Facebook and Twitter. Share your upcoming event, special news or offer with us and we will include it! Blog on our website: Show off your expertise by being a guest blogger on our website. We’ll cross promote your post on our social media profiles. Job Postings: Let us post any job openings at your business on our website and social media profiles. 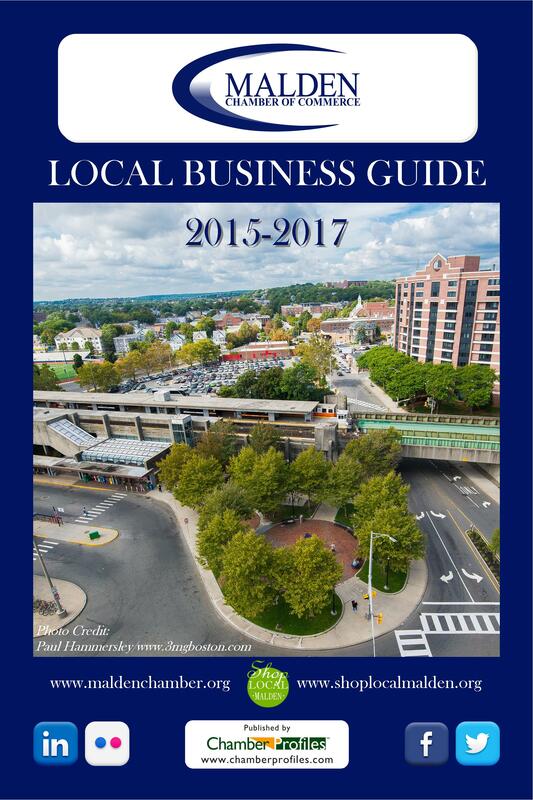 Directory: List your business in our directory (online and print). Host an Event: Bring people to your business by hosting a Business After Hours event, seminar or another Chamber event. Grand Opening/Ribbon Cutting: Let us help you promote your event and join you for a memorable ribbon cutting with local city officials. Certificates of Origin: Available at the Chamber office. Committees: Get involved and make great connections by joining one of our many committees. Digital Member Mailing List: We can send you an excel spreadsheet with a list of our members including business name, primary contact, address and phone number. SCORE Business Counseling: SCORE is a nonprofit association dedicated to helping small businesses get off the ground, grow and achieve their goals through education and mentorship. 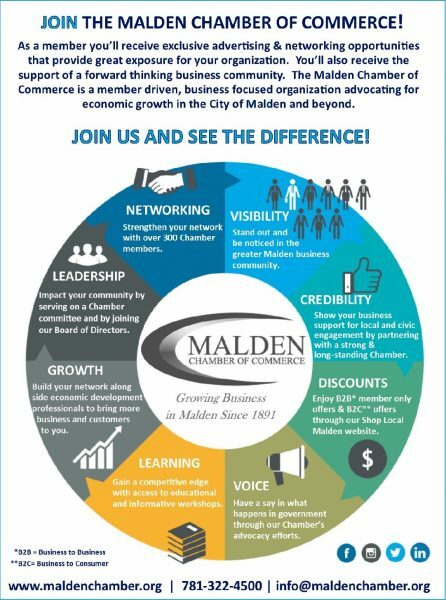 SCORE counselors have sessions twice per month in Malden – book your free (and confidential) meeting today by contacting the chamber! Marketing Opportunities: We’ve created several marketing packages that off our members great exposure. Cost: Varies Click Here for Current Opportunities. Sponsorship Opportunities: Maximize your exposure in the residential and business community by sponsoring Chamber events of your choice! Cost: Varies according to event and sponsorship level, click HERE for our list of upcoming events. is renewable annually in the month of joining. Membership active upon receipt of payment. Please note that membership dues are non-refundable.